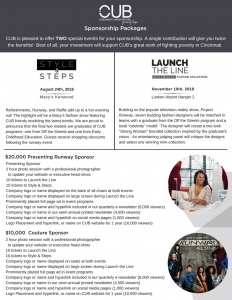 Become an sponsor for Style & Steps and Launch The Line! 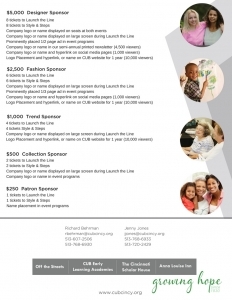 Home/Uncategorized/Become an sponsor for Style & Steps and Launch The Line! By becoming a sponsor this year you get recognition at both of our fundraising events, Style & Steps and Launch The Line.